Integrity, knowledge and excellent service – these aren’t just words, they represent how Alpine Insulation does business. Whatever your needs, you can trust us to offer high quality products and service. 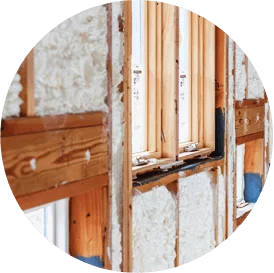 A variety of services – from insulation to drywall, Alpine Insulation can help you improve your home’s energy efficiency and aesthetic. We install insulation, drywall, plaster, gypsum flooring and steel stud framing. Do you need insulation contractors or other building services? Welcome to Alpine Insulation, your source for professional insulation, drywall, plaster, steel stud framing and floor underlayment services throughout Wisconsin. We work with homeowners, builders and contractors on residential and commercial new construction and retrofit projects. Our locations are in Eau Claire, Sheboygan, Madison, Appleton, Menomonee Falls and Weston, but we serve all the surrounding areas—from Green Bay and Oshkosh to Milwaukee and northern Illinois (Lake County and McHenry County). Contact us today to get a free estimate for your project or learn more about our services! 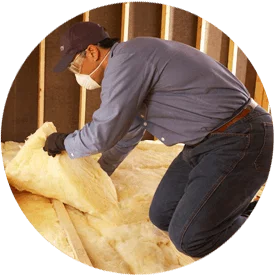 Our team installs the highest quality spray foam, fiberglass, cellulose and rigid foam insulation in new and existing homes and buildings. Whether you’re a homeowner who needs to add insulation to your attic or a home builder looking to install rigid foam in a community of homes, give us a call to learn more about our new home insulation and residential retrofit insulation services. Whether you’re a contractor who needs an insulation company for a new warehouse or a business owner who needs to insulate an older office building, Alpine Insulation can help. Contact us to learn more about our commercial insulation services. Consider your search for “insulation contractors near you” over! When you need experienced contractors and the job done right the first time, look no further than Alpine Insulation. We work with homeowners, builders and contractors throughout Wisconsin and, as part of the Installed Building Products (IBP) family of companies, offer the resources and expertise few local companies can match. Call us at (866) 261-1090 or contact us online to learn more or start discussing your project! Welcome to Alpine Insulation, your source for professional insulation and other products for the home. Builders, contractors and homeowners throughout central and southern Wisconsin and northern Illinois depend on us for a variety of products and we are proud to serve them. No project is too big or too small. From 10-story buildings to house remodels, we have worked on over 150,000 projects since our company was founded.